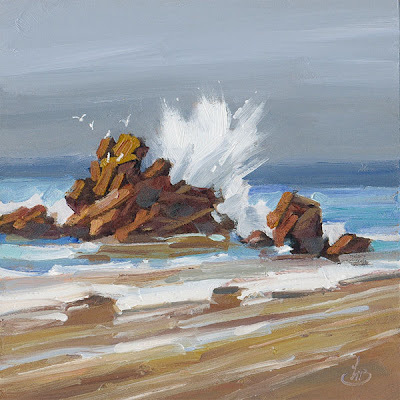 An original oil painting like this makes the perfect Holiday gift! There is still time to have a CUSTOM painting created for someone special in your life if you prefer something much more personal! 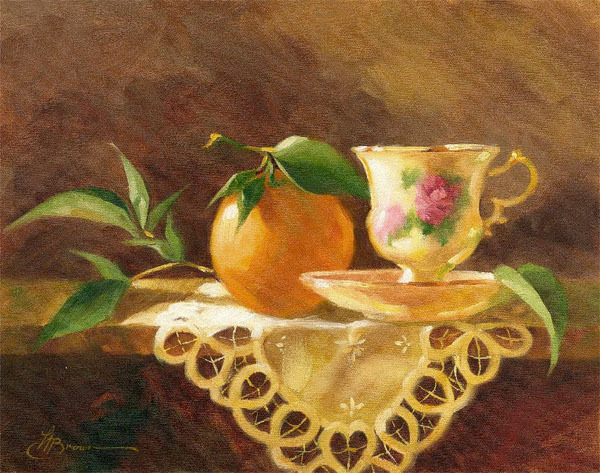 I will be honored to create a painting of any subject for you (still life, figurative, portrait, pet, landscape, etc.). I work in any size including “couch-sized” pieces, although I usually offer only smaller pieces on my blog. Simply email me at tombrownart@gmail.com and we can work out the details. Also remember to check the paintings in my eBay store. 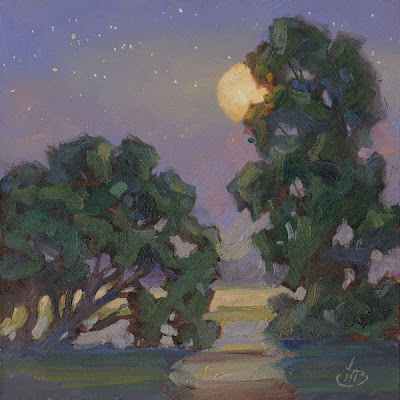 Many paintings have fixed prices for immediate purchase (no bidding against anyone else). The winner in my FREE ART GIVEAWAY will be announced tomorrow. Good luck. 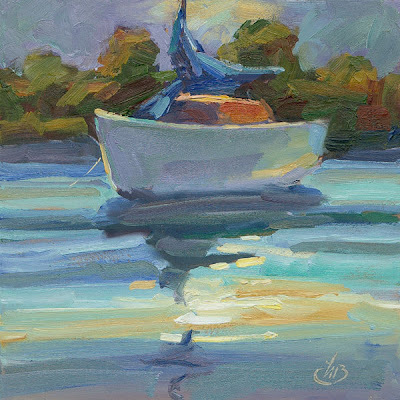 An original oil painting makes the perfect Holiday gift and there is still time to have a custom painting created for someone special in your life! 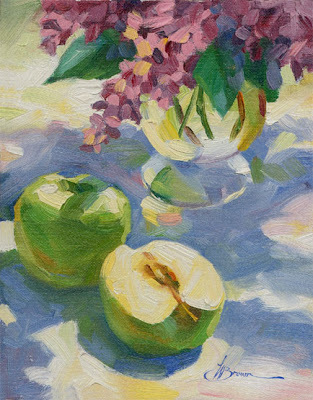 I would be delighted to create a painting of any subject for you, in any size. Simply email me at tombrownart@gmail.com and we can work out the details. Also remember to check the paintings in my eBay store. Each painting has a fixed price for immediate purchase (no bidding against anyone else). To see a selection of paintings in my eBay store, please click the headline above. 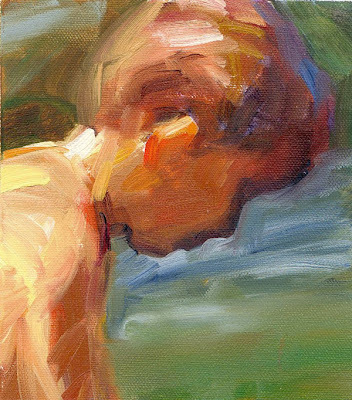 Each painting has a fixed price for immediate purchase (no bidding against anyone else). Also take a look at my eBay store. Each painting has a fixed price for immediate purchase (no bidding against anyone else). To purchase click the headline above. 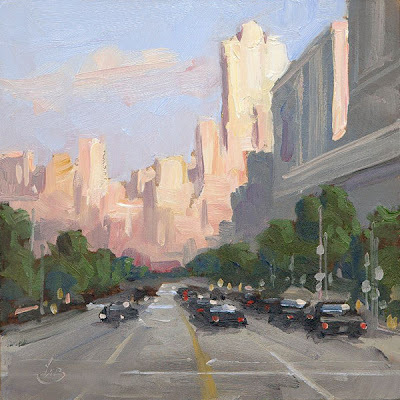 I began my art career in Chicago and worked on Michigan Avenue along the Magnificent Mile. For awhile I worked in the Equitable building, shown in this painting at the far right. 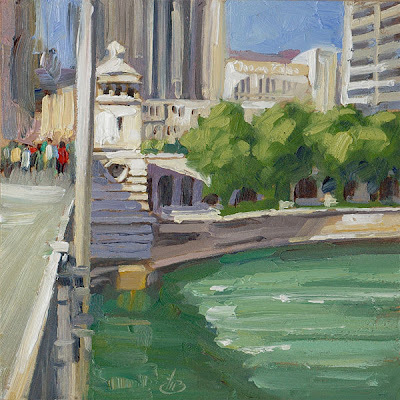 You will also recognize Tribune Tower in the center and the Chicago River with its unique green color. The Windy City is alive with energy and excitement, and holds a special place in my heart. Here's a great gift idea. If you would like a custom painting of any subject (in any size) email me, and we can work out the details. tombrownart@gmail.com A painting makes the perfect gift and there is still time to have a special painting created in time for the Holidays! I paint in all sizes, but only offer small "appetizers" online. Last Friday while driving to the location for a painting workshop, I found this charming scene when I got off the freeway to stretch my legs. I couldn’t resist. 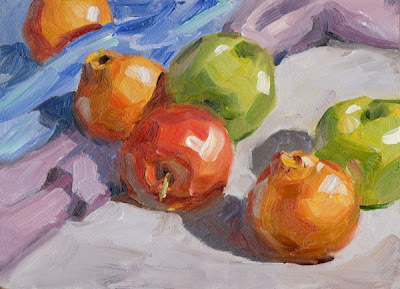 I grabbed my small pochade box and proceeded to capture it in oils. Since the camera was handy I shot photos as the painting developed. I thought the artists who follow my blog may enjoy seeing them, as well as my paintbox with the work in progress. The missing shingles and boards on the buildings supplied the title for this painting. If you are interested in this painting or if you would like to have me create a larger painting as a Christmas gift for that extra special person in your life please email me and we can work out the details. tombrownart@gmail.com I paint in all sizes, but only offer small “appetizers” online. A painting makes the perfect gift and there is still time to have a special piece created in time for Christmas! Discovering a ready-made composition just waiting to be painted. 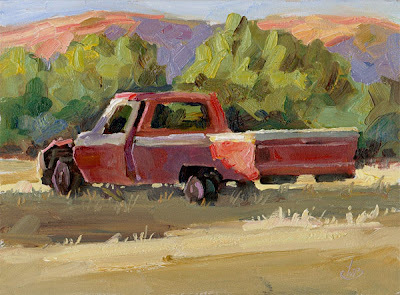 During our plein air workshop last weekend (see previous blogs) this rusty truck caught my eye. 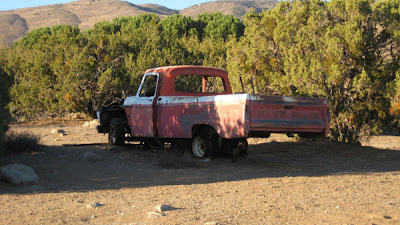 It was sitting on blocks at the edge of an orchard, looking very abandoned. 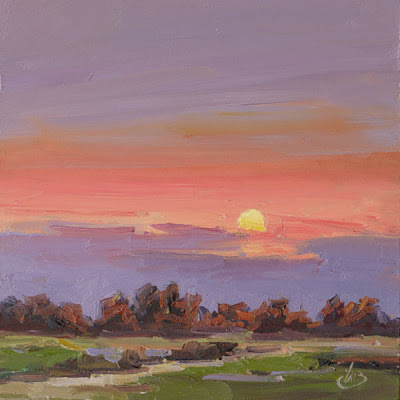 It became my final painting of the day as the sun was setting. Dori Dewberry, an artist in the workshop, shot a photo of the actual scene as I worked. (Thanks Dori!). I'm including Dori's photo for comparison. I call the painting "Retired." And after completing that painting, I retired for the day as well. Monday morning I went back for a last look at the locations where we all painted, then hit the road around mid morning. I got lucky driving. There was very little traffic and I was home in time to get in a good workout before lunch. We had a very busy weekend and there was probably too much input for everyone to completely absorb. But I feel there are great advantages to "total immersion" like this weekend-long workshop. That kind of format allows us to cover a wide variety of concepts and techniques in a concentrated period of time. And that can lead to a quantum leap in one's thinking and approach to painting. Thanks to everyone who attended and made this workshop so lively and enjoyable. Reminder: Keep watching every day for the announcement of this month’s FREE ART GIVEAWAY. When I post the free painting you must email me within 48 hours for a chance to win. 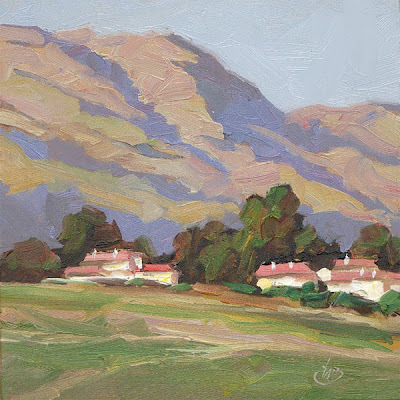 I just returned from a weekend-long plein air workshop north of L.A. We all had a terrific time and created some winning paintings at breath-taking locations, while a movie crew was busy filming just around the bend from us. We began on the first day with some small “thumbnail” studies. 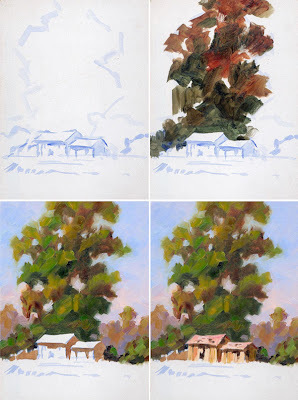 The purpose was to learn how to see strong compositions in the landscape before tackling larger, more detailed paintings. 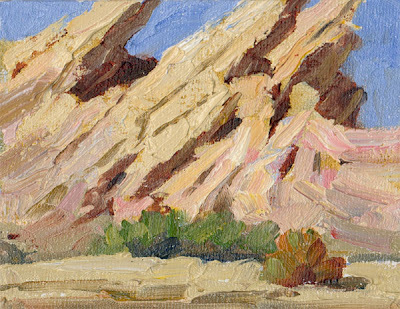 The top image shows one of my 4x5-inch oil studies of Vasquez Rocks. I am including a photo of the actual site for comparison, plus a shot of the artists at work. Note how much the light and shadow on the rocks had already changed when the group shot was taken, compared to the first photo. 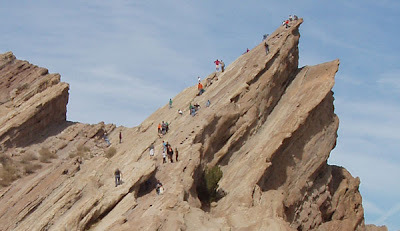 As we painted, a number of tourists arrived and began climbing this towering rock formation. Look closely and you can see them in the bottom photo. I couldn't believe they were actually making it all the way to the top! You would never get me up there; guess I'm a coward. If you’re interested in this study, please email me at tombrownart@gmail.com. This was painted in South Laguna Beach at a place known as Treasure Island. As I painted this, several people explored the island. If you look closely you can see them off to the right. Their presence gave the scene all the mystery and romance of the South Seas pirate adventure story for which this island was named. Kinda gave me goosebumps and took me back to my childhood when I first read the book Treasure Island. Painting at sunset and racing the light! Chicago is where I began my art career, and it will always hold a warm spot in my heart. I fondly remember my first one-man gallery show in Chicago, where we sold the entire collection at the opening reception. 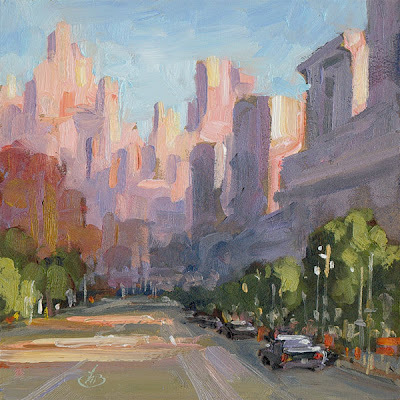 In this painting we see golden sunlight brushing across two prominent landmarks, the Drake Hotel and the Hancock Center at the upper end of Michigan Avenue. Always a beautiful sight. Enjoy the view! 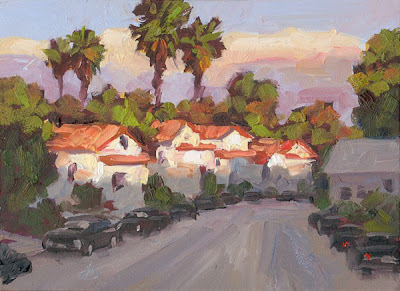 This is a view of my neighborhood as the first rays of golden sunlight sweep across the homes and treetops. As I sat on my patio sipping my morning coffee I watched this scene unfold and knew I had to capture it in oils. Enjoy the view and have a good day. If you’re interested in this painting, please email me at tombrownart@gmail.com. I ship to the United States only. 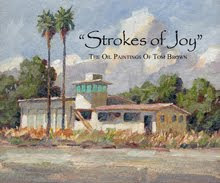 To see the paintings I offer on eBay, click the headline. 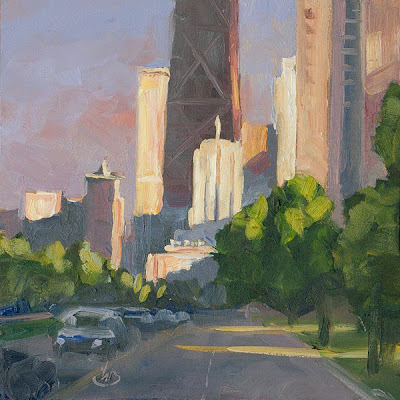 I began my art career in Chicago and worked on Michigan Avenue along the Magnificent Mile. The city was alive with energy and a wonderful array of shopping, dining, entertainment and art galleries were all within walking distance or a short cab ride. This painting is for those who love the hum and electricity of the city, with adventure waiting at every corner. Also keep watching every day for the announcement of this month’s free art giveaway. When I post the free painting you must email me within 48 hours for a chance to win. If you’re interested in this painting, please email me at tombrownart@gmail.com. I ship to the United States only. I am a daily painter, working in the impressionist style. 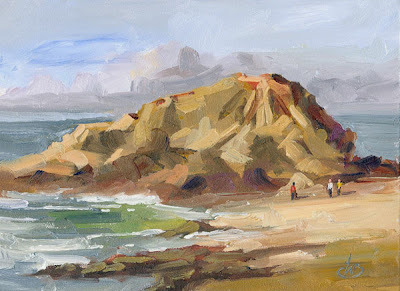 I like to paint outdoors on location because I feel it helps me capture the true essence of a landscape. 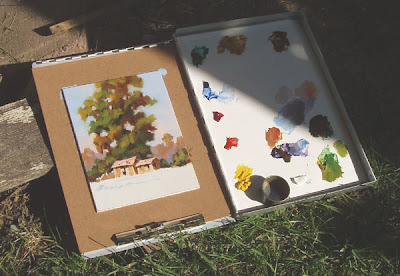 This is called painting “en plein air,” which is the French term meaning painting in open air, directly from nature. 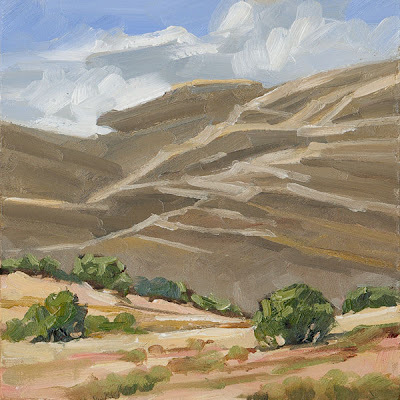 Colors, values and subtleties of the landscape are easier to capture this way than when working from photographs. 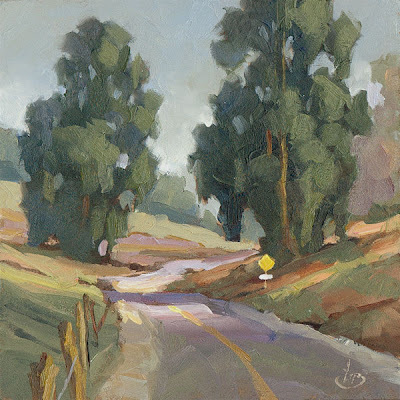 This particular scene is on Laguna Canyon Road, looking north. Since parking is not allowed along this stretch of the road I had to park miles away and I rode my mountain bike from there to reach this spot. I have a specially designed painting kit that attaches to my bike so I can paint at locations like this, or even at remote spots high up in the canyons. 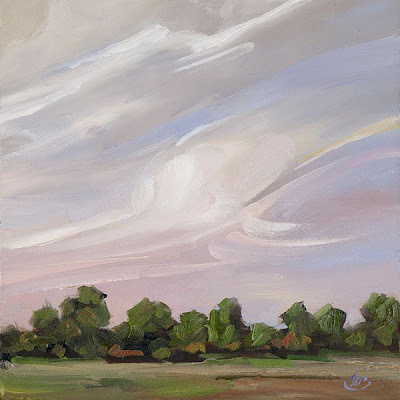 This was painted on a day that was slightly overcast, which muted the colors of the scene. Yet there was enough sunlight to create strong light and shadow patterns across the road. This was a very peaceful scene, hope you like it. Escaping the noise of the city and finding peace in the countryside. I had just visited the local roadside farm stand and couldn’t resist painting these before they disappeared from our kitchen. I decided to paint them outdoors in direct sunlight to capture the delicious colors, just the way they looked at the farm stand. In one photo you can see the fruits spread out on the table, before I arranged them. In the other photo you can see the actual painting in progress on my easel. 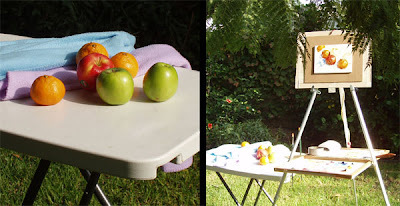 I set up my easel where I could stand in the shade of a tree while the fruits were in sunlight. Hope you like the painting. Bon appetite! NEW ART GIVEAWAY: I had so much fun offering the FREE PAINTING last month that I’ve decided to do it again. Here’s how it works. Keep watching every day for the announcement. When I post the free painting you must email me within 48 hours for a chance to win. 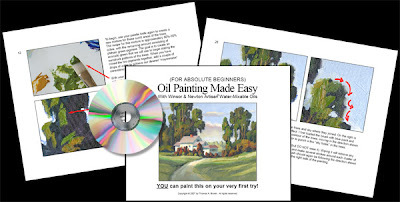 Someone will get a FREE gallery-quality painting; it could be you! There are no strings attached; even the shipping is free. 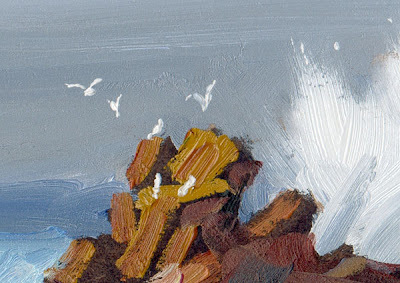 Seagulls scattered each time a large wave crashed against these craggy rocks. Then the gulls settled again until the next large wave. It was amusing to see this pattern repeated again and again as I painted. If you’re interested in this painting, please email me at tombrownart@gmail.com. I ship to the United States only. To purchase, please email me at tombrownart@gmail.com I ship to the United States only. NEW ART GIVEAWAY: I had so much fun offering the FREE PAINTING last month that I’ve decided to do it again. Here’s how it works. The free painting is not offered today, but keep watching. It could be any day this month! (Maybe even tomorrow!) When I post the free painting you must email me within 48 hours for a chance to win. There are no strings attached; even the shipping is free. 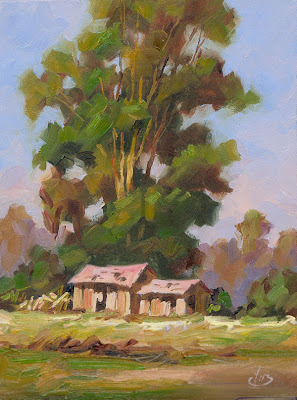 If you are an artist I invite you to come paint with me during my PLEIN AIR WORKSHOP on November 17th and 18th. This workshop is for everyone, from ABSOLUTE BEGINNERS to professional artists. We will start by painting at a movie location that has been used in countless movies and TV shows including the 60's television series "Star Trek, "Bonanza", "F-Troop", "Have Gun, Will Travel", "The Adventures of Rin Tin Tin", "The Big Valley", "Broken Arrow", "Buffalo Bill Jr.", "The Cisco Kid", "The High Chaparral", "Kung Fu", "Maverick", "The Wild, Wild West" and many more. In fact a movie will be filming nearby as we paint. I hope you can join me; this is going to be an outstanding workshop! Click the headline to bid. 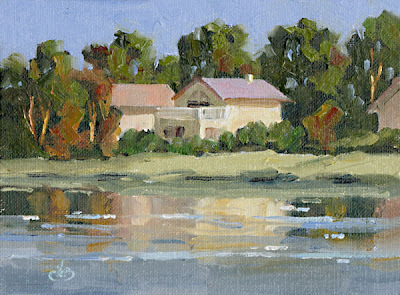 This is one of the stunning locations where you can paint with me during my PLEIN AIR WORKSHOP on November 17th and 18th. There is still time to enroll if you act soon. This is a very special workshop; you don’t want to miss it. The location shown here has been used in countless movies and TV shows including the 60's television series "Star Trek, "Bonanza", "F-Troop", "Have Gun, Will Travel", "The Adventures of Rin Tin Tin", "The Big Valley", "Broken Arrow", "Buffalo Bill Jr.", "The Cisco Kid", "The High Chaparral", "Kung Fu", "Maverick", "The Wild, Wild West" and many more. 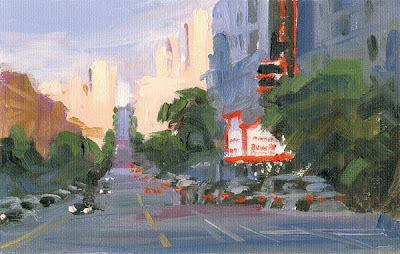 In fact, as I painted this a film crew was busy constructing a set for a new movie that is about to be filmed nearby.